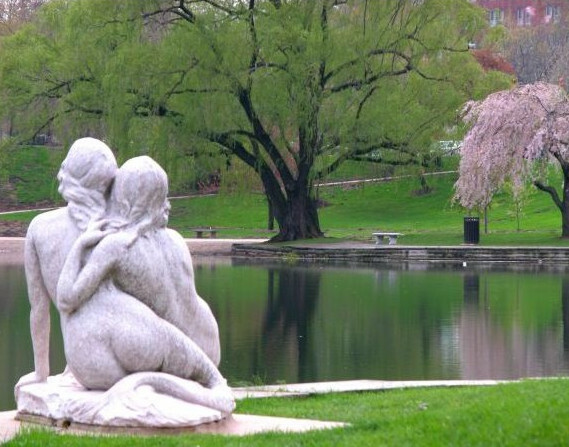 The sculpture was begun by Fidardo Landi, an italian sculptor who came to America in 1900. 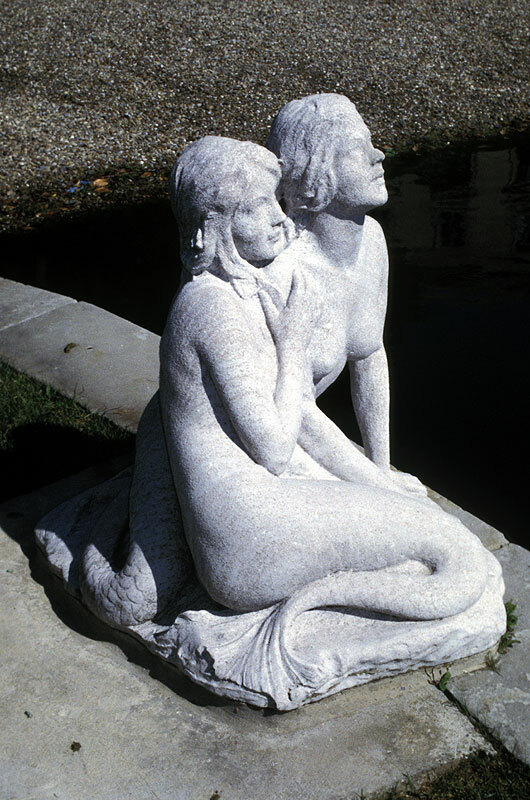 Landi was a professor of sculpture at the Academy of Fine Arts in Carrera Italy at the age of 20, and came to America when he received a commission for a sculpture there. 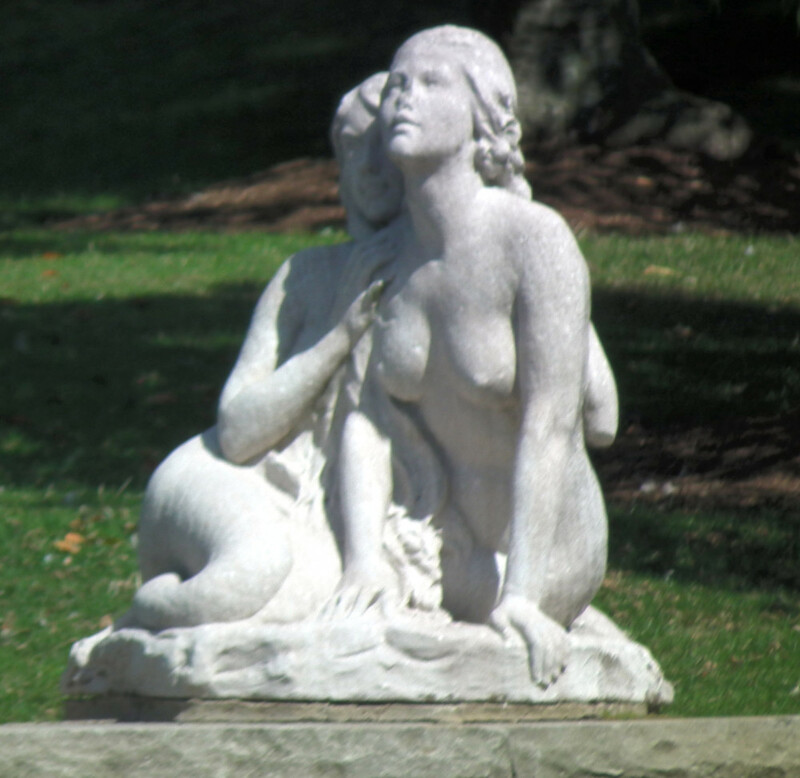 With a number of marvelous works to his credit, Landi passed away in 1918 before finishing the mermaid statues, and they remained incomplete until 1929 when they were was finished by Chester Beach. 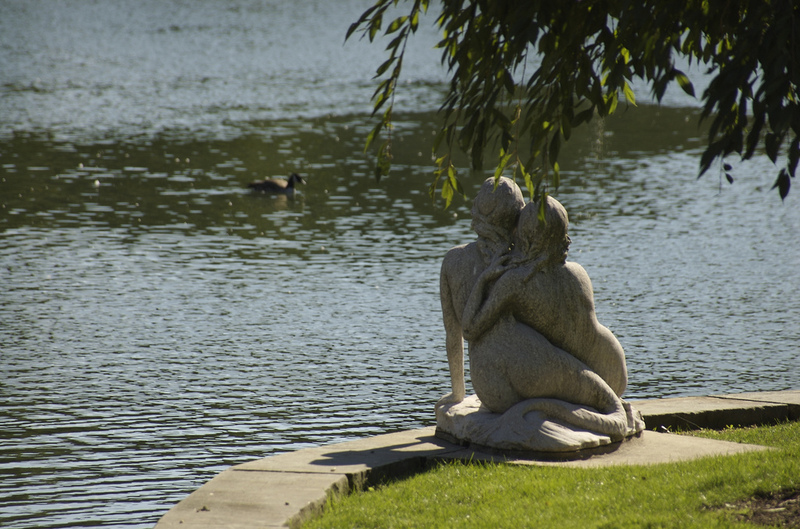 The sculpture was donated to the city of Cleveland by Mr. and Mrs D.E. Drury. 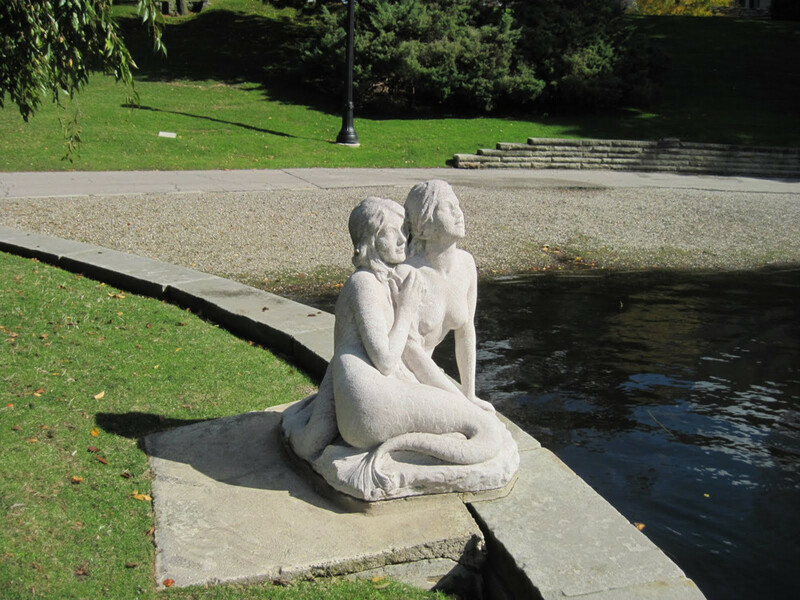 The blog by Mary Danielsen, a descendant of Mr. Landi, provides wonderful detail on the history of this sculpture and the life and work of her great grandfather. 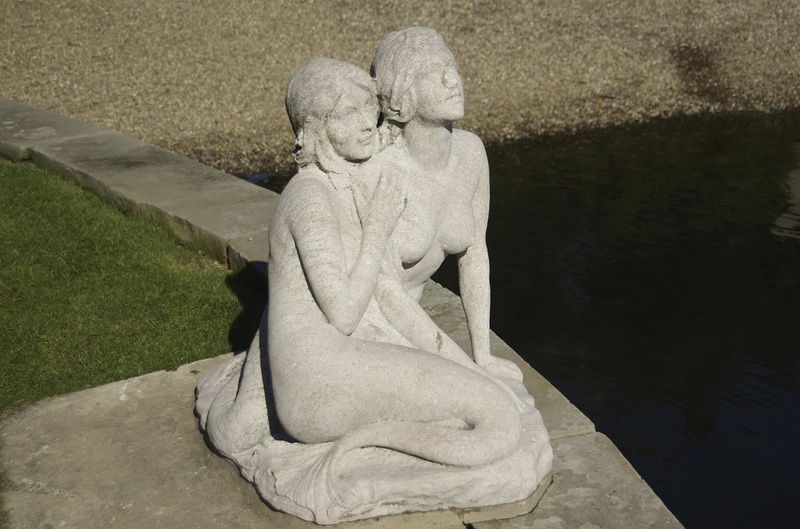 Better pictures: If you would like to help with better photographs of thes mermaid statues, please contact us. Photos must be yours, 10 megapixel or better. 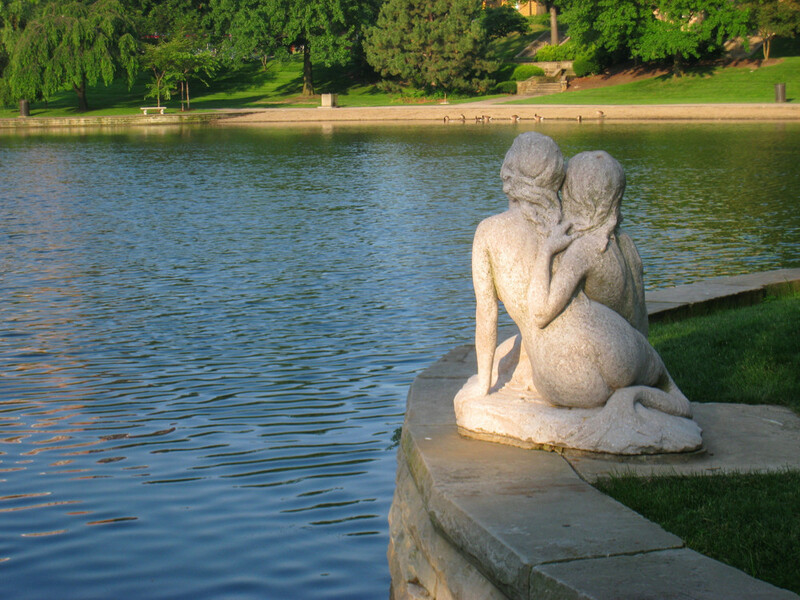 We can only accept photos if you give us full rights to use them in print and digital media.